The International Institute of Knowledge management (TIIKM) always give the maximum facilities for the conference participants. Therefore TIIKM always choose finest star class hotels in the country for conferences. 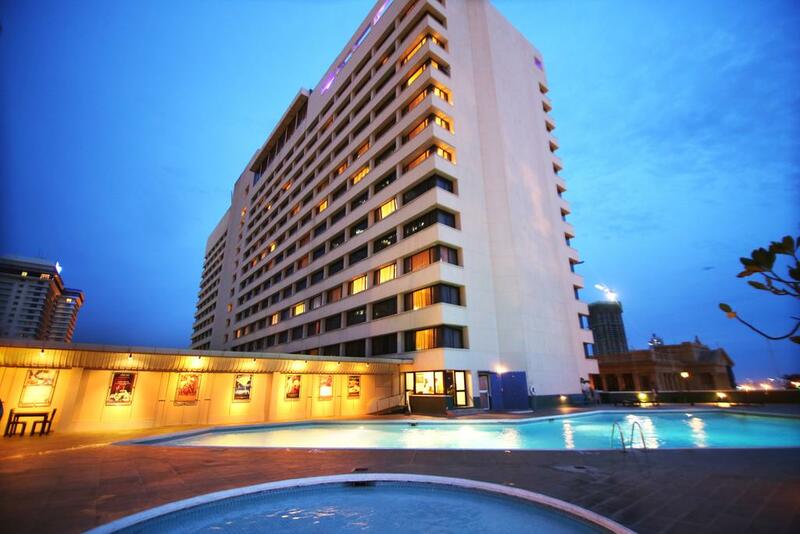 The conference venue of World Conference on Child and Youth 2019 is Hotel Taj Samudra Colombo. This hotel is the one of the most recognized five stars hotels in the Sri Lanka which is situated heart of the city of Colombo. Its only 45 minutes’ drive from Colombo international Airport to the Hotel. Since the Hotel Taj Samudra being the official venue of World Conference on Child and Youth 2019 you can grab a special discounted room rate during the conference period. There are few other Hotel partners with the conference and you can grab a room with a highly discounted rate by booking through us. Facing Sri Lanka’s historic Galle Face Green, Taj Samudra offers enchanting views of the mesmerising Indian Ocean, Galle Face Green and the vibrant city of Colombo. The exotic hotel boasts 300 rooms and suites nestled in 11 acres of beautifully landscaped gardens. Located in Colombo’s business hub, the urban resort is a short walk from the bustling city centre and 21 miles (34 km) from the airport. The hotel’s award-winning chefs create culinary magic, fit for connoisseurs of fine dining. Relish authentic Indian cuisine prepared with exotic spices and unique cooking techniques at Navratna. Enjoy a wide selection of Chinese delicacies at Golden Dragon, and sample Japanese specialities at YUMI. Latitude, the all-day diner and coffee shop, offers an extensive global menu. Above Prices are inclusive with all the Taxes. Newest hotel to make it’s mark on the business hub of Colombo, Situated in the heart of the city of Colombo adjoining the World Trade Centre and the port of Colombo in close proximity to all Commercial Banks and Government Institutions. Making it the perfect destination for the business traveler. We guarantee your satisfaction with star class accommodations along with our courteous staff. 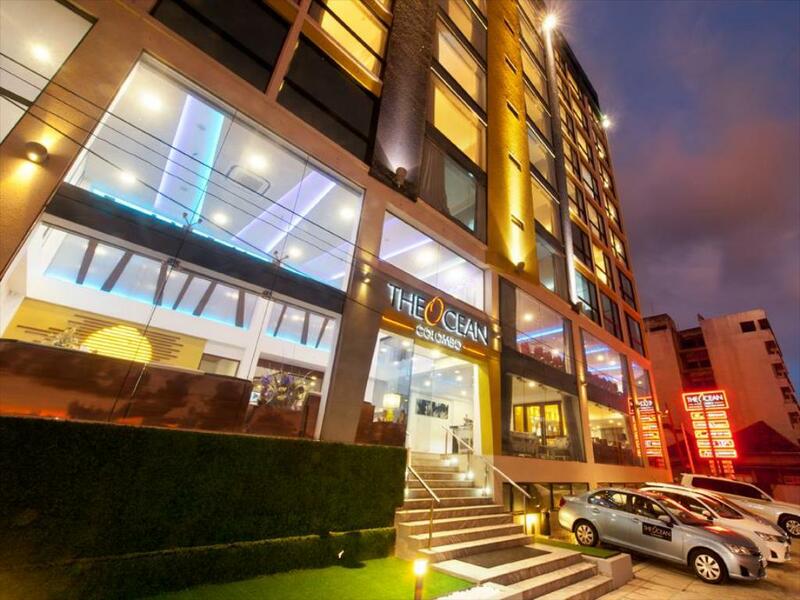 Known as a ‘Business – Boutique Hotel’ the Ocean Colombo is the perfect destination for corporate travellers who are visiting Sri Lanka and also for all holiday goers who wish to explore the city in all its glory. A variety of plush living spaces are available with modern facilities and stylish settings that will help guests enjoy their stay. The Ocean also boasts of a number of dining venues where you can savour delicious gourmet cuisine. Ideal for business and leisure, the hotel consists of many features which includes a business centre and a 24 hour welcome lounge. You can get the advantage of time saving, Money saving together with convenient access to your room anytime during the conference period. Do More, Save more and enjoy more. Staying in a one of the best hotels in the heart of Colombo will give you a lifetime memory. Do not miss it. International Trust – Globeenjoy internationally trusted tour and destination Management Company which have more than 100 conferences related tour and accommodation management experience. You will be safer hands with Globeenjoy. Even TIIKM as the conference organizers will support you for any query. Personal Touch – We will assure you to handle your inquires more personally. Our representatives will meet you at the conference venue. Guaranteed Best Rate – You cannot find any Best rate than this rate in the Internet. Offers and Discounts – You will be getting many more offers and discounts when you booking other tours with Globeenjoy since you booked a room through us. No Surprises – there are no any hidden cost included inside of mentioned price. Now you can easily book a room with Globeenjoy tours for the conference period. Conference official tour and Accommodation partner Globeenjoy will help you to make this more comfortable.